The PT 3100 D dispersion unit is unique in its class. 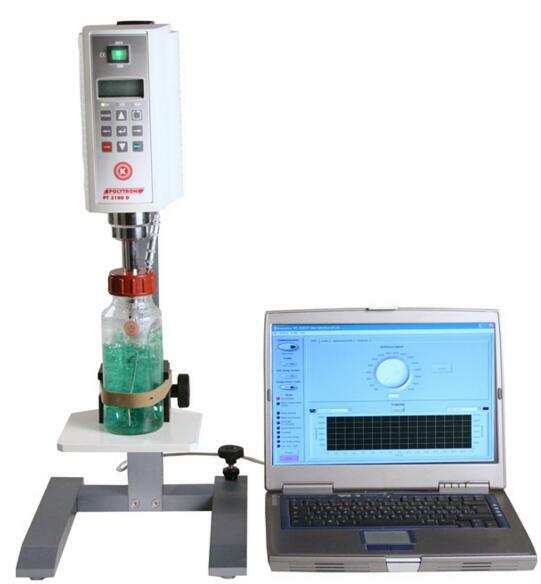 Applications with highest demands on reproducibility or requiring a scale-up step are excellently served by this unit. The complete digitalisedcontrol and regulating system can be easily operated using the membrane keyboard. The bright and informative display shows all parameters. Via PC interface, diverse parameters such as speed profile or times can be specified using the enclosed KIN software. Results can be recorded as an Excel file. Up to 30 dispersion aggregates with different geometries, design sizes, materials and coatings are available for selection.